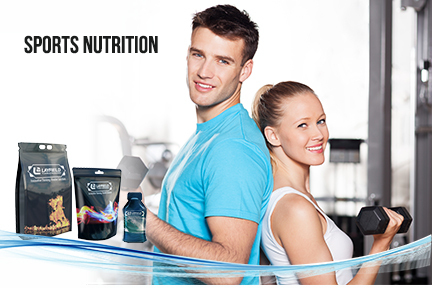 Layfield Flexible Packaging offers a complete sports nutrition line of packaging products. By switching from rigid containers, you can save money and use less materials which is better for everyone and the environment. Layfield also provides attractive shrink sleeve labels for rigid containers that offers additional barriers against oxygen and light and larger printing surface when compared to a traditional sticker label. Shrink sleeves are a flexible plastic label that offers 360 degree coverage and works perfectly for irregular shaped containers. Rather than being mounted with adhesive, shrink sleeves are slid onto the container (either manually or automatically) and sent through a heat tunnel. The heat causes the film to constrict, allowing it to form a tight seal around the container.